The 29th Annual We the People National Finals looks forward to welcoming visitors from around the country! Since 1987 more than 10,000 parents, grandparents, friends, and neighbors have traveled to Washington, D.C., to celebrate the accomplishment of these remarkable students. The following information will help you better understand and enjoy the competition and events. Because the hearing rooms are limited in size the number of open seats depends on the class size and number of parents and visitors. Every effort will be made to ensure that parents and visitors who have come to see a particular student testify will be seated in the room during that student’s unit hearing. Classes that have a large number of parents and visitors may have to devise rotation schedule. To ensure the hearings are not interrupted, parents and visitors will be admitted to the hearing room at appropriate break times between units. To ensure fairness anyone affiliated with a competing class (teachers, coaches, students, chaperons, parents, friends, relatives, etc.) may not enter the hearing room of any other competing class. Once a class hearing is completed, floor supervisors and Center staff will help exit classes and visitors in a timely fashion. Information can be found on The Stamp's website. The final round of competition will take place in hearing rooms in Capitol Hill. Hearing sessions are 10:00 am-1:00 pm and 2:00 pm-5:00 pm. Visitors do not need to register to observe Monday's hearings - there will be no Information Desk on Monday. Parents and guests can report directly to their assignment hearing room. All National Finals guests are welcome to observe the Top Ten hearings, with one important exception: Students testifying in the afternoon cannot attend morning hearings. The same rules applies to their team's parents, friends, and supporters. If you have any questions or concerns during the day, you may report to the Center's administative office at Cannon 121. 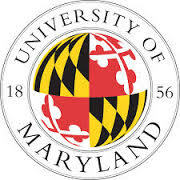 The Student Orientation will he held in the Hoff Theatre on the campus of the University of Maryland. On the Saturday and Sunday there will be a half hour briefing for all classes before the hearings begin. Robert Leming, Director of the We the People Programs and Mark Molli, Director of Governmental Relations will officially welcome students, teachers, parents, and visitors to the 29th Annual We the People National Finals and address the students about important matters concerning the competition. Upon arrival floor supervisors and Center staff will direct students to the Orientation room. Parents and visitors are welcome. At the end of the briefing, floor supervisors and Center staff will direct classes to their hearing rooms. Once all classes have been dismissed, parents and visitors will be directed to the hearing rooms. The ceremony is the culminating event of the 29th Annual We the People National Finals. This is the time to celebrate the accomplishments of all of the students and teachers participating in the competition.